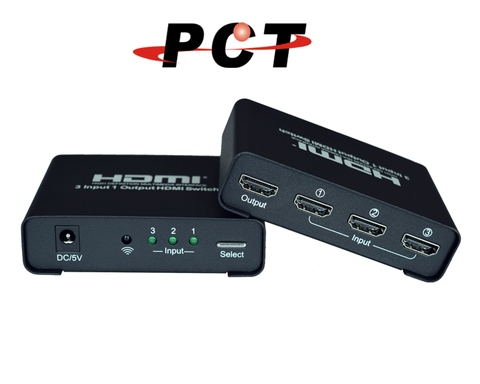 Switch in each HDMI source using “Select” button or IR remote. 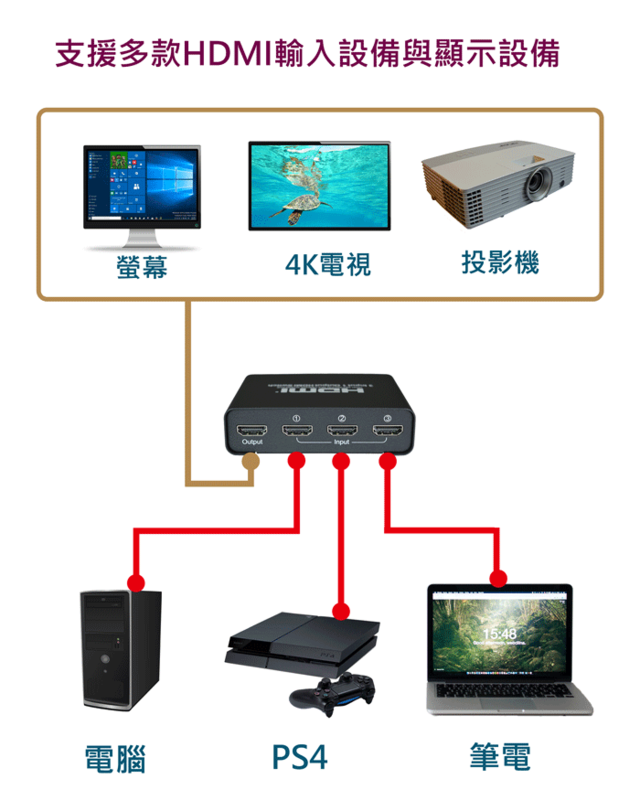 Supports resolution 480i, 480p, 576i, 720p, 1080i, 1080p, 1440p, 4K2K@60Hz. Up to 48bit color depth. No drivers or firmware required and cross-platform supports - Windows, Linux and Mac.